Members of the media are invited to join us at each event. Exhibit Hall press passes, high-resolution photos and logos are available by calling 888-699-6309. 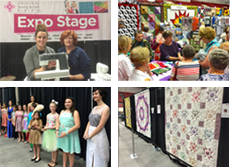 In most cities, Original Sewing & Quilt Expo promotes its event on network television and/or radio. Samples of our television and radio commercials are available for viewing. BIRMINGHAM, Ala. – Phyllis Hoffman DePiano, chairman and CEO of Hoffman Media, announced today it has completed the acquisition of Martha Pullen Company and its catalog of books, patterns, teacher curriculums, in-person and online education events and Internet Embroidery Club. The purchase from F+W also includes Original Sewing & Quilt Expo and its eight sewing, quilting and machine embroidery consumer shows. Martha Pullen Company was founded in 1981 by Martha Pullen in Huntsville, Alabama. The business has remained the leader in fine sewing content (books, magazines, patterns and designs) and in fine sewing education (instructor-led videos and conferences). Martha Pullen Company is led by Kathy McMakin. She will continue to lead this division under the new ownership. “Martha Pullen Company will greatly complement our Classic Sewing brand and bring exciting new content to customers. We are thrilled to bring this business into the Hoffman family of brands and we’re looking forward to doing great things together,” DePiano said. The Ingraham family founded the Original Sewing & Quilt Expo in 1995 in Cleveland, Ohio. Since that time the group has grown from just one small conference to the largest multi-market consumer sewing expo in the country. The family has managed the business for 23 years, and they have also agreed to continue under the new ownership. “We’re energized by the notion of our company cultures being so well aligned. The expos bring quality and value, and Hoffman Media is the best environment for us to evolve and thrive,” said Original Sewing & Quilt Expo Senior Director of Sales and Planning Mark Ingraham. Original Sewing & Quilt Expo has been operating out of offices in Westlake, Ohio, where the business will continue to be located. Martha Pullen Company will be operated out of the Hoffman Media home office located in Birmingham, Alabama. 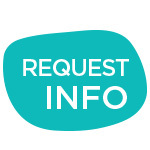 Hoffman Media, LLC is a privately held, leading special-interest publisher based in Birmingham, Alabama. Publications include Bake from Scratch, Cooking with Paula Deen, The Cottage Journal, Classic Sewing, Louisiana Cookin’, Southern Home, Southern Lady, Southern Cast Iron, Taste of the South, TeaTime, and Victoria. The company specializes in publications targeted to the women’s market and the large base of advertisers who seek a print, online, and interactive medium to reach this attractive demographic. In addition to publications, Hoffman Media has a growing consumer event business and an established ancillary products division. Hoffman Media was founded in 1983 by Phyllis Hoffman DePiano as Symbol of Excellence Publishers, Inc. and was renamed Hoffman Media in 1998. Today, DePiano serves as chairman of the board and is recognized industry wide as a savvy businesswoman and talented entrepreneur. Westlake, Ohio, April 15, 2016 -- For the first time ever, the Quilts of Valor Foundation® has a full-blown, fresh and energetic, open-to-the-public Quilt Expo to raise awareness and lend support to their mission: To cover service members and veterans touched by war with comforting and healing Quilts of Valor. America Quilts EXPO is coming to the Iowa Events Center (Hy-Vee Hall) on May 26, 27 & 28, 2016 to provide financial, creative and social support to the Foundation and the quiltmakers who make it all happen. What could be a better way to jump-start your own patriotic holiday weekend than to participate? So often we’re bystanders, worried about whether rain will interfere with our picnic, but this year you might find it nice to spend a little time at an event that provides the best of both worlds – all the fun of a large, multi-faceted quilt event along with the feel-good that comes from contributing to a worthwhile cause. A patriotic cause, even. If you’re a quilter or simply appreciate the artistry, the EXPO is an event to enjoy and remember forever. Several special events (like an Ice Cream Social and Celebrity Small Quilt Auction), plus a portion of the admission fee are earmarked to support Quilts of Valor Foundation financially. And even though more than 135,000 quilts have already been awarded by the Foundation, demand never wanes. Thus, the goal of creating six-dozen quilt tops in the course of the three days will also provide a big boost. Quilt production will be ongoing throughout the EXPO, with volunteers stitching on machines provided by sewing machine manufacturers, piecing fabrics donated by generous fabric suppliers, all for this unprecedented event. Guest quilt celebrities, including nationally known talents such as Winterset, Iowa resident Marianne Fons, one of the founders of Fons and Porter’s Love of Quilting magazine and public television series, will be teaching, helping with special events and more. Marianne is joined by Alex Anderson and Eleanor Burns, two more icons of the quilt world, and the quilters who helped create two QOVF documentaries at IPTV studios in Des Moines -- one in 2012 and more recently, the update, recently shown during PBS pledge drives across the country. In addition to the Ice Cream Social, Quilt Auction and quilt production, quiltmaking enthusiasts and veterans alike will find three full days jam-packed with special events and guest celebrities, shopping, workshops, hundreds of quilts on display representing all aesthetics and styles of quiltmaking, plus quilt trunk shows and how-to demonstrations on the EXPO Stage. From beginners to the most experienced stitchers, quiltmakers can take a leap forward, try something new or gain technical finesse in any of the creative workshops and seminars being offered. Everyone can enjoy the inspiring quilts on display, and take pride in seeing a dozen or more QOV quilts awarded to service members and veterans each day. Quilt presentation ceremonies, free and open to the public, take place each morning starting at 9:30 am, prior to the opening of the EXPO at 10:00 am. For more details about America Quilts Expo and the Quilts of Valor Foundation, please visit AmericaQuiltsEXPO.com and QOVF.org. January 17, 2014 – NEW YORK – David Nussbaum, Chairman & CEO, F+W Media , Inc. announced today the acquisition of New Track Media (www.newtrackmedia.com) securing the Company’s place as the leading art and craft content and commerce company. New Track, founded in 2006, is a consumer enthusiast media company with a portfolio focused on special interest categories. New Track includes 30 integrated consumer enthusiast brands in select craft categories, woodworking, and astronomy. F+W Media is a consumer enthusiast bellwether that has diversified its content offering through selling hard goods, services and education to its list of 7M unique email subscribers. Terms of the deal were not released. The New Track acquisition adds three robust direct-to-consumer catalog businesses with more than 12 million members and revenues in the tens of millions. The total F+W Media ecommerce division now includes 30 individual community-based stores, with more than 20 Million individual consumer orders annually, and revenues in the tens of Millions. The ecommerce business at F+W Media includes content (books, magazines, ebooks), education (video and instructor-led, conferences & events), consumables (patterns, fabric, notions), and more. The Company launched its ecommerce business in late 2008, and today employs a division of ecommerce experts from leading internet retailers, including Amazon.com. Over the past 18 months, F+W Media has closed three acquisition in the craft market – Interweave, Martha Pullen Company, Love Sewing. More than 60% of the Company’s total revenue is now derived from the art and craft verticals. “The craft market is sizeable – and growing,” said Nussbaum. Craft industry reports indicate 66 Million U.S. households identify a member as a crafter and in total these crafters spend upward of $31 Billion annually on supplies, online and in-store. “In addition to aggressively expanding our strength in the arts and crafts sector, this acquisition further solidifies F+W Media as a leading brand using content to build a large ecommerce business. Also, New Track Media, like F+W Media has been transitioning its business from print and by the end of 2015, we expect our company will have more than 60% its revenues in digital/ecommerce/product and events, and 40% in print driven revenues,” Nussbaum added. The acquisition adds 8 ecommerce storefronts, 3 consumer catalog brands, 13 magazines, 45 SIPs, 37 consumer events (with more than 100,000 attendees), 3 affinity clubs, and 2 retail shops to the Company’s portfolio. New Track operates from 8 offices and two retail locations.